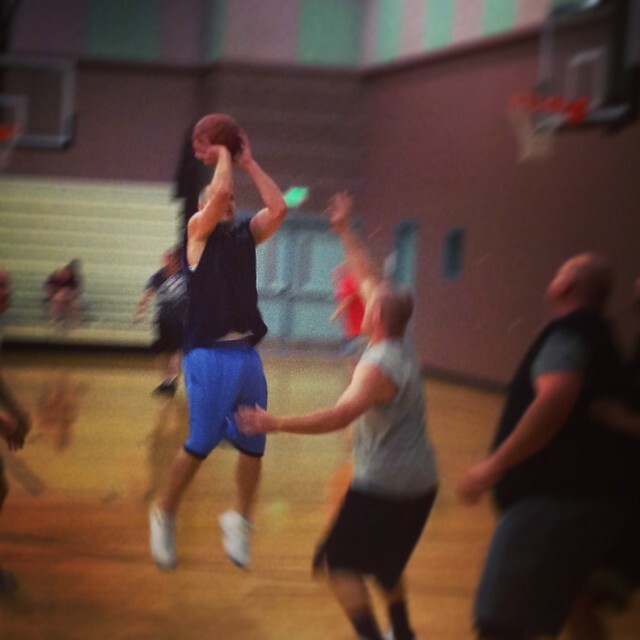 On August 2, 2014, the Washington County Sheriff’s Office hosted our 5th Annual 3 on 3 Basketball Tournament. Nearly 40 staff members participated in the tournament, which took place at Fossil Ridge Intermediate School. The Sheriff’s Office hosts many PT events, and this has certainly become one of our more enjoyable events. It was a great event, not just for the players, but for everyone who attended! This year also saw the return of the coveted ‘Jackie Moon Award’, which was voted on by those in attendance and went to the most “entertaining” player in the field. This year’s winner was unquestionably Zac Weiland, who took home the award for the second time in the three years. In addition, the Sheriff’s Office added two events for the children in attendance. Jalen Schultz took home the trophy for the 10 & Under WCSO Hot Shot Competition, while Amy Pulsipher took home the trophy for the 15 & Under WCSO Shootout! As always, the Sheriff’s Office would like to thank all of those who helped to make this event possible. We would like to extend a special thanks to Lieutenant James Standley, Lieutenant John Zwahlen and our Training Coordinator, Carl Johnston, for helping to coordinate and facilitate the event. Without their help, an event like this could never take place. We also would like to extend a very special thanks to the Fossil Ridge Intermediate School Principal Steve Gregoire and his staff, all of whom graciously prepared and allowed us to use the school’s facilities for this event.